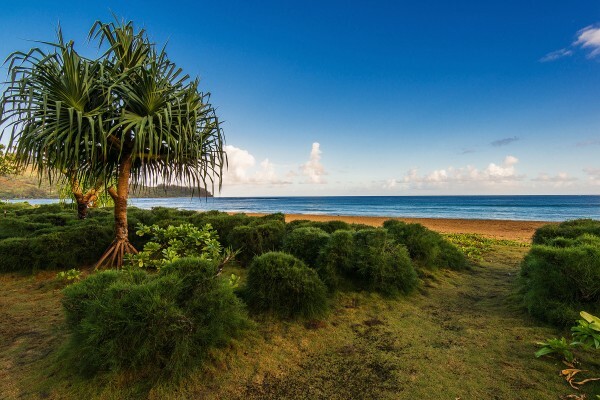 Rare oceanfront parcel on Kauai for sale. 1.07 acres. 160′ of beach frontage (MLS# 258835). 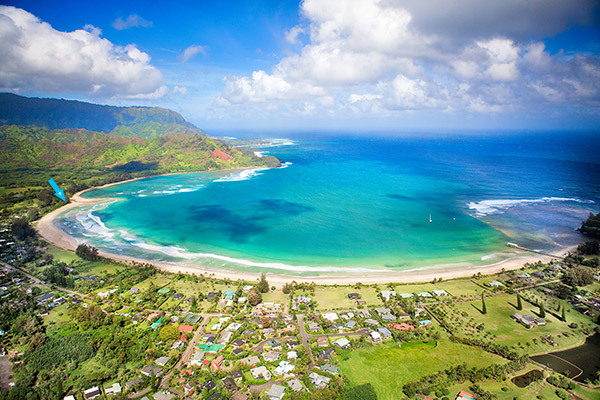 It’s almost impossible to find a beachfront lot on spectacular Hanalei Bay. Properties on the beach rarely come on the market. Kauai County snapped up the last undeveloped parcel more than two years ago. And nothing compares to this one. 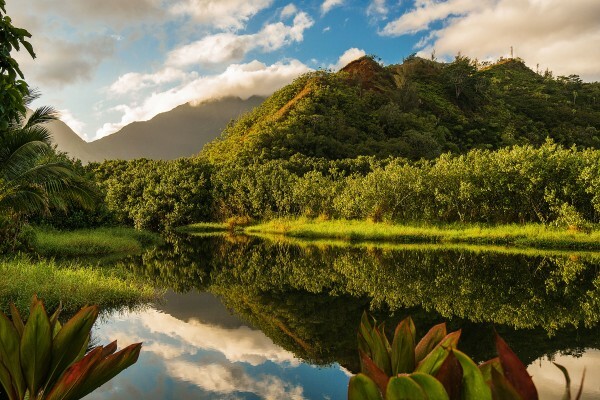 Located at the western end of the Bay, considered the quietest, most pristine section of Hanalei, the lots are down a private drive with no thru traffic. The double lot qualifies for two homes and two guesthouse (up to 6,000 square feet of total lot coverage) providing an unparalleled opportunity to create a unique Hanalei Bay Estate. Buffered by the Waioli Stream, with waterfall views of the Waipa Mountains, this lush parcel fronts one of the top-rated beaches in the world. “Dr. 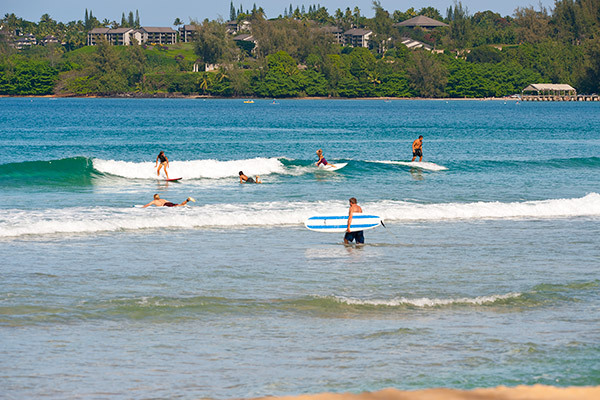 Beach” proclaimed Hanalei Bay the #1 Beach in America and National Geographic Traveler recently put Hanalei at the top of its list for Best Beach Towns in the World. Surfing, swimming, and stand-up paddling. Morning walks along the bay. Gilded Sunsets…and Hanalei by moonlight. This property is listed for $15 million by Tiffany Spencer, R(S) 808.652.5264 and Ben Welborn R(B) of Hawaii Life Real Estate Brokers.